Water-resistant—designed to prevent water damage resulting from sprinklers and fire hoses. Accommodates letter or legal size hanging folders. 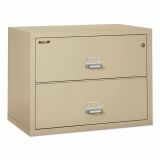 FireKing Two-Drawer Lateral File, 37 1/2w x 22 1/8d, UL Listed 350°, Ltr/Legal, Parchment - Insulated lateral record file drawers offer a UL one-hour fire and impact rating. 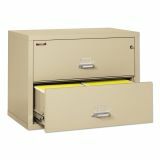 Other features include parchment powder-coat finish, oven-dried, asbestos-free gypsum insulation and full suspension file drawers. 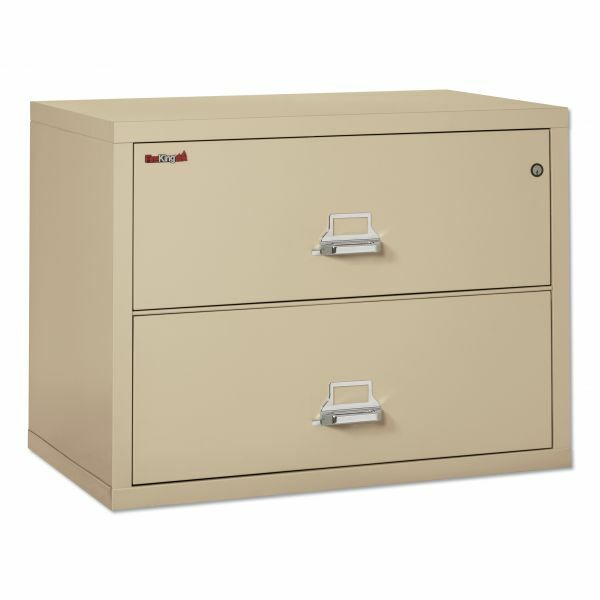 Full height drawers accommodate letter/legal hanging folders or regular file folders.